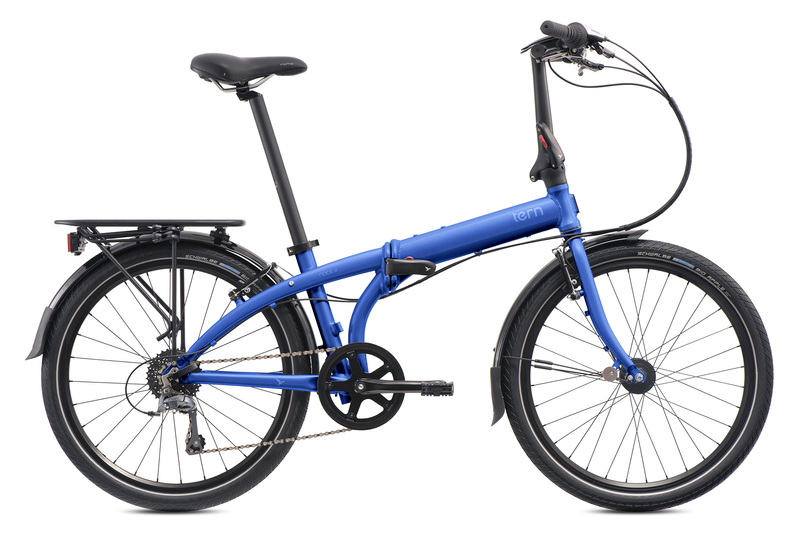 The Node D8 is the workhorse of our Around-Town bike family. 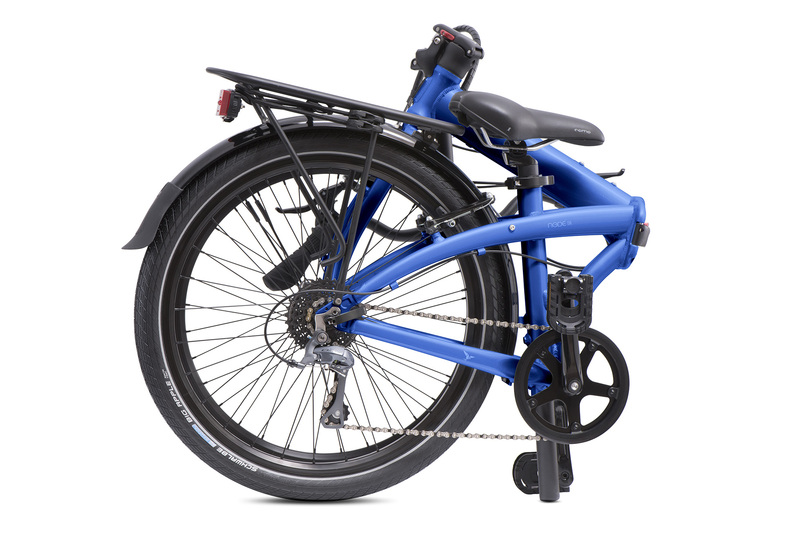 With big wheels, comfortable tires, and swept-back handlebars, it’s as comfortable and solid as a Dutch city-bike, but it folds down small—in 10 seconds flat. 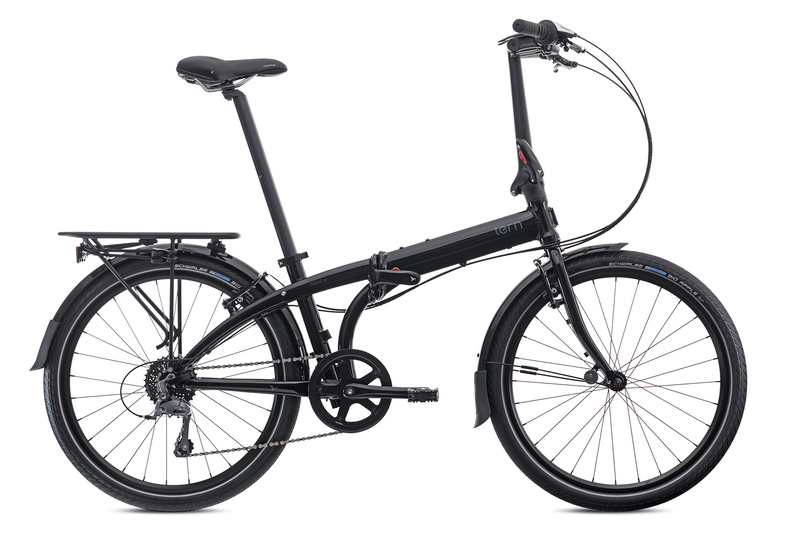 … the optimal urban bicycle for any city-dweller. When you ride around the city, you want to take it all in. Our swept-back handlebars let you sit comfortably upright so you can see everything that goes by. And a more natural grip position is extra kind on your wrists. ErgoLock grips are nice and wide for excellent palm support so your hands can relax during the ride. They also lock in place on the handlebars so they’re always in the correct position, unlike non-locking grips which tend to rotate out of position. 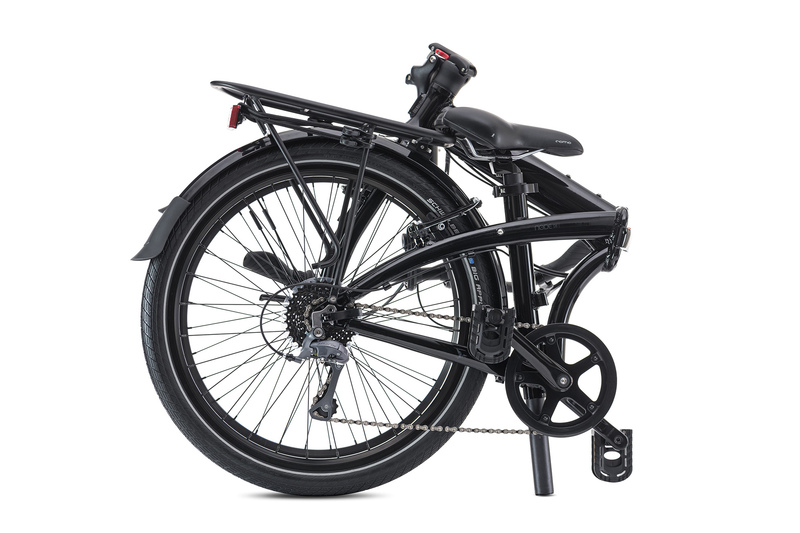 …the optimal urban bicycle for any city-dweller. El gran caballito de la marca. …it’s easy to fold and easy to carry down subway stairs, or onto a bus. Adam Housley shows off hot outdoor tech, including the Tern Node D8. Sturdy, dependable, and able to handle bumpier rides, my first impressions of the Tern Node D8 were all good. …das Tern agiert nicht “wackelig”, sondern bleibt souverän in der Spur, auch Rahmenflattern ist dem D7i fremd.